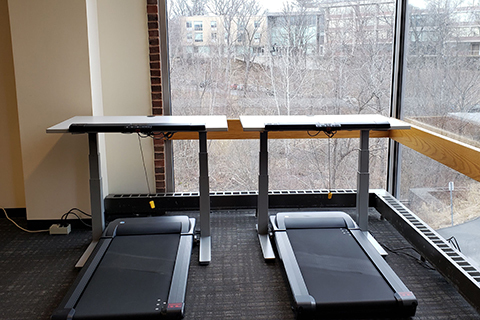 The Library new has treadmill desks! These desks were purchased as part of a CEEF proposal, which provides funding for student-led initiatives that enhance the Brandeis community. Try them out on Farber 1!